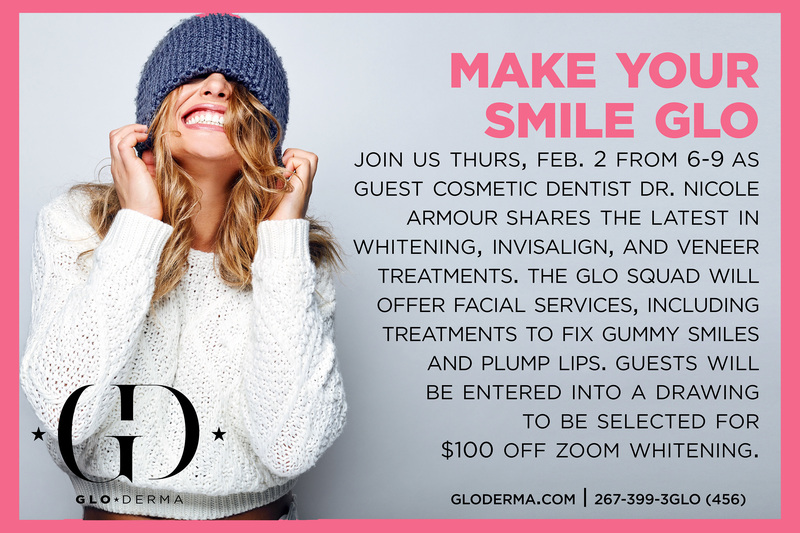 We are guest hosting an event with Amy Birkenstamm (shown above with Dr. Armour), owner and clinical director Glo Derma Aesthetics and Wellness in Yardley, PA on Thursday Feb 2nd, from 6-9pm. My team and I will be sharing the latest about Zoom! 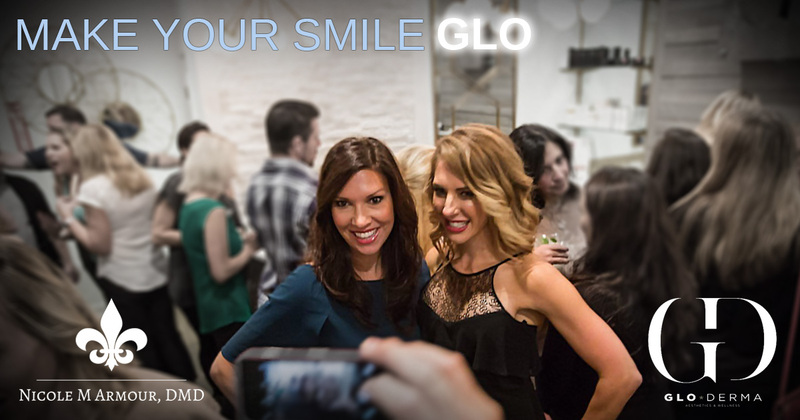 Whitening, Invisalign and cosmetic dental veneers, while the GLO team will showcase lip enhancements to give you a gorgeous smile. Facial services and complimentary aesthetic consultations will be available throughout the evening.Guests will be entered to win 100 dollars off of ZOOM! Whitening and ONE lucky winner will receive complimentary ZOOM! Whitening and a syringe of Restylane Silk! Cocktails and refreshments will be served in the GD lounge. Other surprises will be offered to all attendees. Call to reserve your spot 267-399-3456 as space is limited. Check out gloderma.com for more information about their services. Glo Derma and I are excited about teaming up to cover all aspects of a cosmetic makeover. Join us for a cocktail and an excuse to get out on a Thursday night! What: Mix and mingle cocktail event. Why: Learn about the benefits of cosmetic makeovers, and have a great time! RSVP: Space is limited, click here or call 267-399-3456 to RSVP.